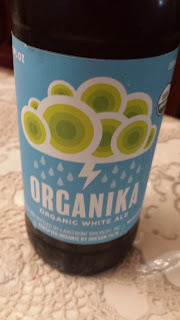 This week's Sunday Night Suds looks at Lakefront Brewery's Organika White Ale. This was another of the beers that I picked up when I was at the Binny's in Lincolnwood last week. Its actually been a while since I had seen a new Lakefront product as they don't have a wide distribution network in New York. So when I saw the Lakefront bottle with a star-k on the mix your six pack rack I had to grab one. It may not be PC to admit this, but I don't really prioritize buying organic products. Its not that I don't care about the environment, but I just don't go out of the way to avoid genetically modified products and I dont source ingredients. But while the term organic does not hold any special meaning to me, the beer was a solid White Ale. It poured a lighter orange than I was expecting, but there were nice phenols and the cloves quickly drew me in. Its not a hefeweizen, but its also not a light American Wheat Ale which pretends to be a White Ale either. The coriander and citrus zest were also nice touches and I could see having one of these in the spring or early summer with a salmon dish. 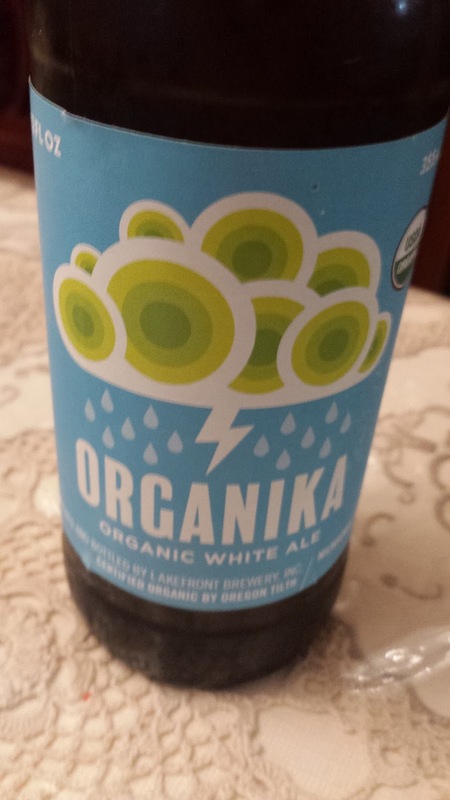 Lakefront Brewery's Organika White Ale is under the kosher supervision of the Star-K (there is even a Star-K on the label). For the experts' take on the brew, please click here http://beeradvocate.com/beer/profile/741/315921.